Theres a coach in every watch. 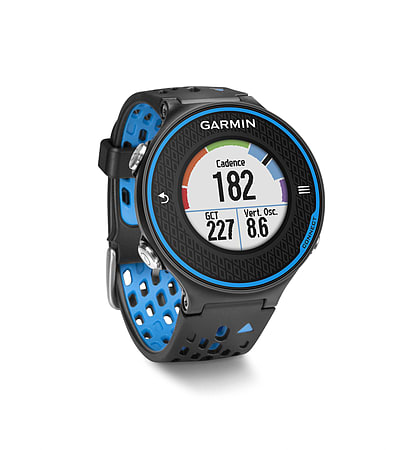 The colour touchscreen Forerunner 620 GPS running watch offers advanced features like recovery advisor, race predictor and VO2 max estimate. HRM-Run monitor adds feedback on running form by showing your cadence, ground contact time and vertical oscillation, or degree of bounce. The built-in accelerometer tracks distance for your indoor track or treadmill workouts, with no need for a foot pod. 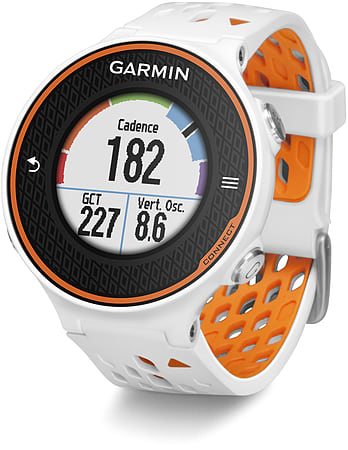 The 620 also offers vibration alerts and a post-run summary. Connected features include automatic uploads to Garmin Connect, live tracking and social media sharing so you can promote your achievements to your friends. Pair it with free training plans from Garmin Connect for real-time coaching.